In order to explore the renewable energy resources like biogas, there is a need to find the appropriate feedstock to avoid the depletion of fossil fuels and environmental deterioration. Date palm fruit is a suitable raw material with health promising features. Palm fruits also have the capability to produce biogas at a high quantity. Anaerobic digestion of palm fruit is a most valuable technique that has been evaluated as a promising feedstock to generate biogas like methane. In the event of biogas production, the anaerobic procedure assumes an essential part which gives higher help to the high amount of biogas generation. It is generally connected for the treatment of organic waste like palm natural products because of its high natural substance which helps in the generation of biogas. This chapter features the elements which impacting or influencing the anaerobic procedure and different kind of anaerobic reactors, for example, continuous stirred tank reactors, anaerobic filtration, anaerobic fluidized bed reactors, anaerobic contact process, upflow anaerobic sludge blanket reactors and so forth used for the methane gas generation. These reactors are organic procedures that have been disclosed to upgrade the biogas generation. 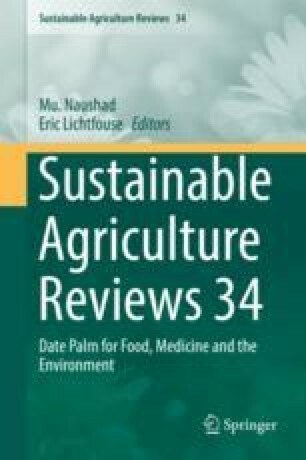 This chapter also depicts the potential for biogas production from date palm fruit and additionally it reveals the upsides and obstacles for anaerobic digestion technology. Procedures to additionally enhance these methodologies alongside future research are outlined in this chapter.